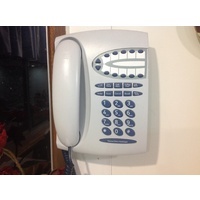 "Standard Telephone Services", also affectionally known as "Plain Old Telephone Services" (POTS), are prescribed in some detail in the Australian Telecommunications Act and in the Telecommunications Consumer Protection Laws. As a user of a standard telephone service you have certain rights on reliability and availablility at all times. Standard Telephone Services are also affectionally known as Plain Old Telephone Services (POTS). Usually delivered over a copper wire pair and powered from the exchange side, so the customer does not need to worry about power outages or back-up batteries. Today also delivered over fibre in "Velocity" estates, in South Brisbane, and in new installed NBN fibre estates. When a customer is aware that the fibre system won't deliver any telephony (or anything else) when the home power is down for whatever reason, and consents to not being able to make or receive telephone calls when the home power is down, including providing a waiver for the telephone service provider not being responsible for that, then no local batteries need to be installed. If you have some medical reason for a phone line to be always available, or there are alarm panels or lift phones, or you run a home business or have eftpos machines connected, then it would be wise to install adequate back-up batteries. And even consider going further in providing solar panels or generator connectors to keep you going in the event of prolonged power failures. You do not have to, but if you have ever been without power, phones and Internet for any length of time then you'll understand that adequate power backup facilities are vital for business continuity and for your alarm systems to work.